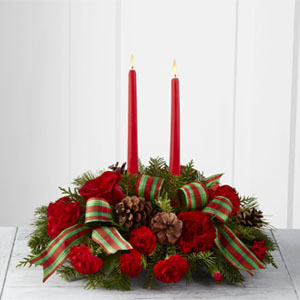 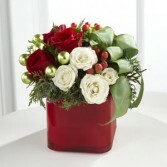 The FTD® Merry & Bright™ Bouquet is a charming display of seasonal cheer. 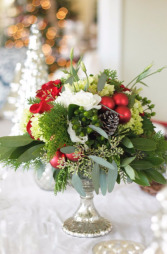 Vibrant red roses, white spray roses, red hypericum berries and assorted holiday greens create a stunning look with green glass balls and green taffeta ribbon nestled within the arrangement. 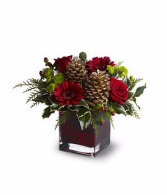 Arranged in a red glass cube vase, this bouquet is guaranteed to make their holiday both merry and bright.